Would you like to know a formula for becoming an exceptional Yoga teacher? What separates the exceptional yoga teacher from the “pack?” Here is an itemized formula to become an exceptional and successful Yoga instructor. Continuing education is part of a Yoga instructor’s job description. Although you may teach Yoga, you must accept being a student of Yoga for life. Learn what you can, to benefit your Yoga student’s ailments, and when you have time, learn a little bit more. With 5,000 years of documentation behind it, Yoga is like a great mountain where one lifetime will just not be enough to discover everything. Patience is the next ingredient within an exceptional Yoga teacher. Be patient with yourself, your family, your friends, and your Yoga students. Do not put pressure on anyone unnecessarily. Some Yoga students have to grow into the practice. You might be unknowingly doing the same to yourself or your loved ones. The key is to become aware of it and always be mindful of others. Take action and understand the laws of cause and effect (Karma). Most of the world takes no action at all, but exceptional Yoga teachers do not “sit on their hands.” Just by taking action, you will be a success in life. Great ideas mean nothing without action, but your actions should always help others. It is fine to help yourself, just make sure you are not harming anything in the process. Compassion is needed to become an exceptional Yoga teacher. You must show compassion for Yoga students and for mankind. Treat everyone possible with loving kindness. When this is impossible avoid negative people who seek pleasure through spreading pessimism, bigotry, hatred, greed, and envy. Passion for Yoga and for helping other people can be found in most Yoga teachers. The Yoga teacher who just “does it for the money,” will not last. If you feel like that, you should find your “real calling,” passion, and true desires. Life is too short to waste time doing a job that you dread. Strangely, I have never met a Yoga teacher who regretted teaching Yoga. If I ever find one, I will let you know. Courage is required to be your own boss. To wake up each morning and go it alone, without someone over your shoulder is a Yoga teacher’s life reward. Most of the masses like to be told what to do, but the Yoga teacher makes his or her own hours. There is some responsibility that goes with any business, but every Yoga teacher knows the responsibility is worth it. How Much Do Yoga Instructors Make? Really here are some great tips to be an exceptional Yoga teacher. Continue education is a part of yoga instructor but can not be end the learning about Yoga. Thanks for posting this informative article. Really nice formula to become successful yoga teacher.Little action is better than much thinking. 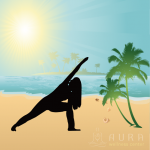 Exceptional yoga instructor in a yoga workshop and presenting education offered to most patterns, sizes, and skills.